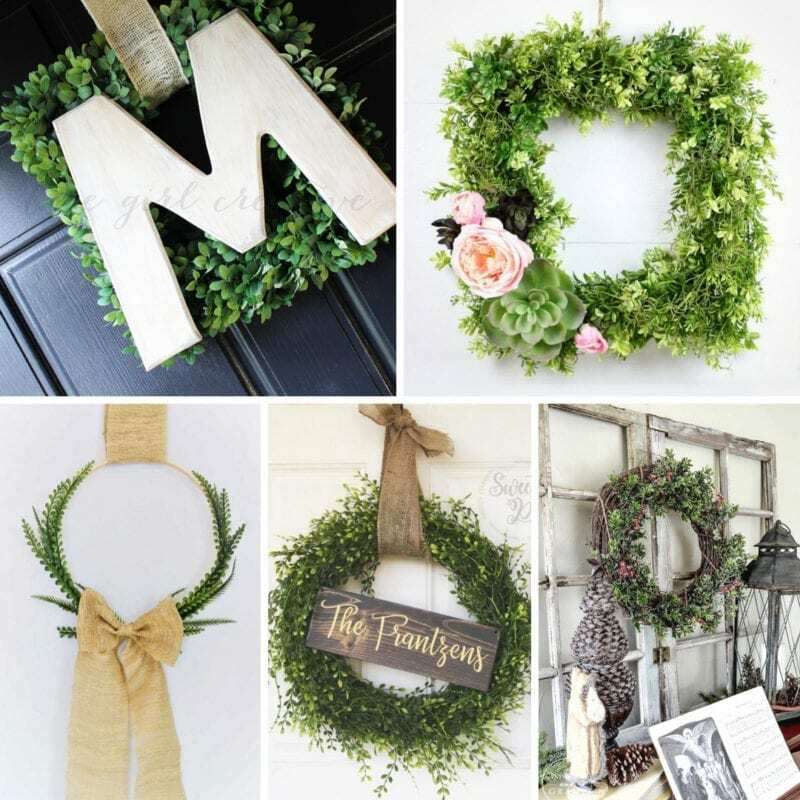 DIY Boxwood Wreaths are the perfect way to add charm and a feeling of comfort to any home decor. These 20 ideas are sure to inspire and delight! Having grown up in the South, I have always been a big fan of down-home comfort and rustic decor. 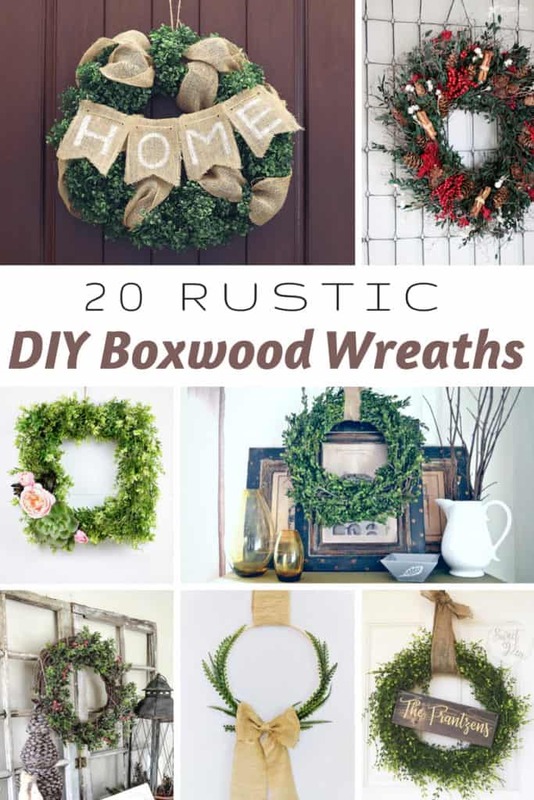 Boxwood wreaths speak that language to me, so it’s only natural that I love how they look around my home (especially my farmhouse living room!) One of the problems is that they can be pricey at home decorating stores and I have a budget to keep. 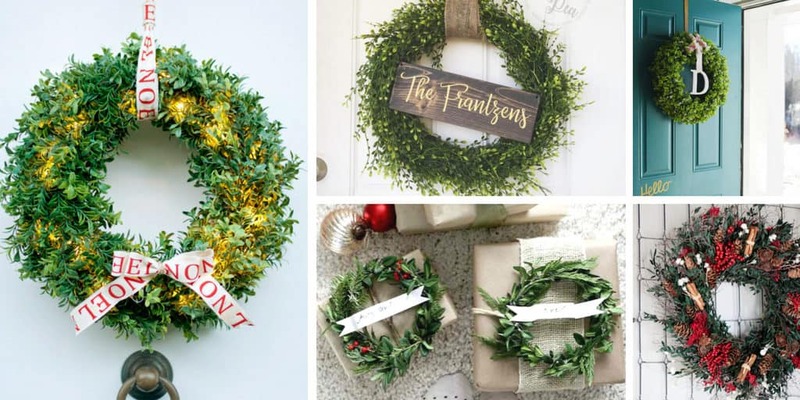 Thankfully, these DIY versions are the perfect solution to my boxwood wreath obsession! The wreath instructions below range from simple to complicated, but they all capture the charm that boxwood wreaths have to offer. If you’re going to be making your own, I suggest making sure that you have plenty of room to spread out your materials and supplies. When you’re working on a surface that can be scratched, use a thick towel or pad to protect it from the scratchy branches. If you’ll be using a hot glue gun, make sure your creation station is close to an electrical outlet. There have been many home decor projects that I’ve had to stop midway through, because I forgot to move closer to the outlet or grab an extension cord before I started. Lesson learned! The most important thing when making your boxwood wreath is to take your time and have patience. Before you know it, you’ll have a beautiful wreath to hang on your front door, decorate your walls, or use as part of a holiday gift. Have fun! 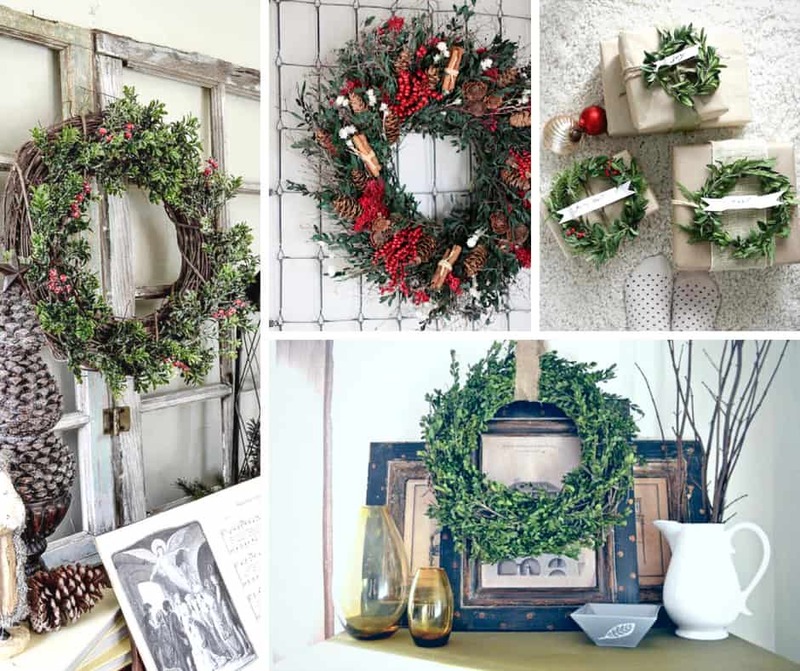 Are you going to make your own boxwood wreath? Snap a picture and share it with us in our Facebook group or tag us on Instagram @MyNourishedHome! We’d love to celebrate your creations!